Steps from the Mississippi River, Machine Shop hosts a variety of events in its open, flexible space. From cultural events open to the public to lavish weddings, Machine Shop is equipped for them all. With space for over 300 guests, combined with the innate character of the building and the lavish updates, clients and guests experience grand events like never before in Minneapolis. The Machine Shop is a historic, unique, and bright private event venue in the heart of the St. Anthony neighborhood of Minneapolis. The building has been carefully restored, keeping the original 1916 architectural details intact, while introducing modern luxury in this industrial space. 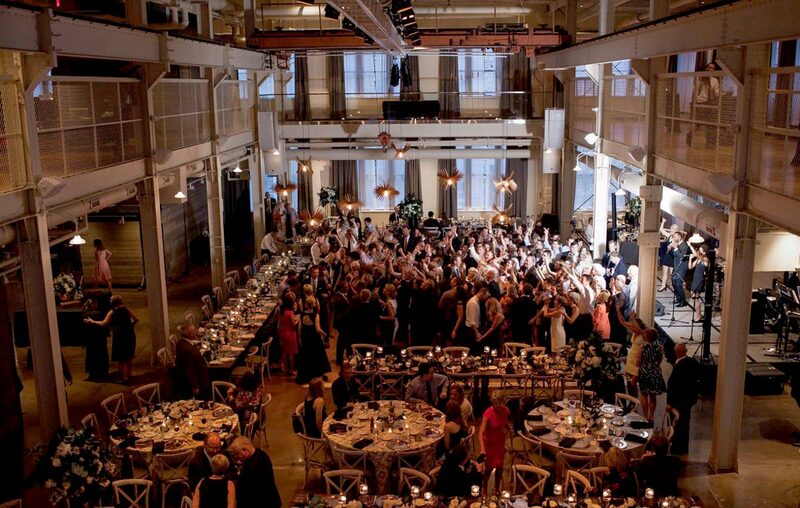 Just as the Pillsbury machine shop was a part of creating Minneapolis, Machine Shop Historic Venue is cornerstone for the city of Minneapolis, as a host of extraordinary and glamorous events.